The government of North Sumatra Province has been aggressively developing the Lake Toba region into a world tourism destination in Indonesia through the concept of geopark. The geopark concept was introduced in late 90s following the declaration of the International Symposium on the Conservation of the Geological Heritage organized under the auspices of UNESCO. Conservation of geological heritage aims to protect and promote Earth heritage sites through the sustainable local development of territories containing abiotic nature of significant value. In an effort to develop Lake Toba tourism region on the basis of geopark concept, the North Sumatra provincial government invited 48 ambassadors of friendly countries for a meeting, called Lake Toba Summit on December 16, 2017 in Prapat. The 48 ambassadors attending the Lake Toba Sumit were among other things from Saudi Arabia, India, Jordan, Turkey, Yemen, Iran, Iraq, Egypt, Italy, Russia, and 38 other countries. North Sumatra Governor Erry Nuradi remarked in the provincial capital of Medan that the presence of 48 ambassadors in the summit would further convince the local government that in the future Lake Toba will increasingly be known to the world a a leading tourist destination in the province. "The provincial government invited the ambassadors of friendly countries for the summit to introduce Lake Toba, and informed them that the potential of North Sumatra also strongly supports investors from their countries to invest here," Governor Nuradi said. With their presence in Lake Toba, the ambassador can see the potential business in the region, so they are expected to bring more investors from their countries to invest in Lake Toba tourism. In the meantime, North Sumatra Environment Office Chief Hidayati explained that geopark-based tourism is an important point in supporting the development as well as increasing foreign tourist visits. Geopark contains historical values that can then be introduced to the wider community both within and outside the country. Hidayati explained that the tourism of Lake Toba is developed with the basis of gopark because its value is more than just a tourism. "Geopark will certainly support tourism, but tourism is not necessarily based on Geopark," Hidayati said. Geopark has a scientific value from the process of the formation of Lake Toba Caldera where in it many things can be explained. Hence, the government is making all-out efforts to accelerate the development of the Lake Toba area into a world tourism destination in Indonesia. Lake Toba has been designated by the government as a tourist destination of international standard in an effort to improve the living conditions of the local population. In an effort to develop the area into an international-standard tourist destination, the Lake Toba Tourism Authority Board (BPODT) requires a budget of Rp21 trillion. BPODT Finance Director Faisal has remarked that such a big amount of budget to support the development of Lake Toba to attract one million tourists in 2019 must be backed by not only the central government but also the local government and private parties. A budget of Rp21 trillion will be required from the government and private parties to develop the Lake Toba area into a world-class tourism destination, with a target to attract one million tourists in 2019, Faisal reiterated. The number of tourist visits to Lake Toba and North Sumatra had reached 197 thousand in September 2017, while the figure was recorded at 240 thousand visitors in 2016. The Ministry of Tourism has set a target to increase the number of tourist arrivals to 300 thousand until the end of 2017, and it could reach 500 thousand in 2018. The BPODT finance director explained that the number of tourist arrivals to North Sumatra and Lake Toba, in particular, had decreased by 270 thousand in 2014 due to accessibility constraints to Lake Toba, which can only be reached from the Kualanamu airport. "It can take four to five hours to reach Parapat from the Kualanamu airport. Hence, the government must take serious steps to develop the Lake Toba area by prioritizing transportation infrastructure," he noted. Developing Silangit Airport into an international airport to attract Singaporean tourists as well as various other infrastructure, such as the Tebing Tinggi-Pematang Siantar-Parapat highway, and revitalizing the four-point crossing to Samosir is expected to help realize the target of one million tourist arrivals in 2019. Faisal admitted that the target to attract a million tourists was no easy task if one were to solely rely on the budget from the central government. He expressed hope that the provincial government of North Sumatra and the regional governments would prioritize tourism as a sector that contributes to the local revenue. 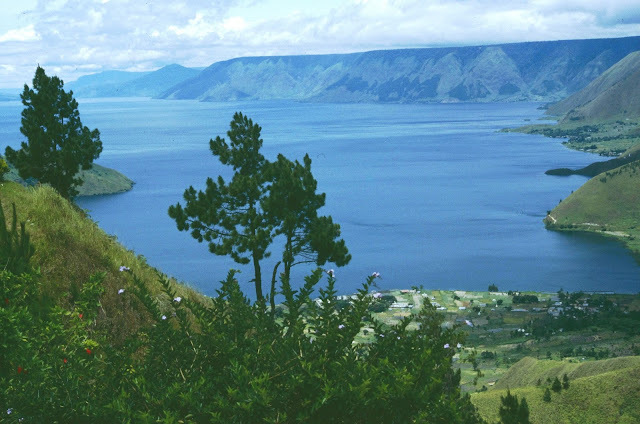 The central government has outlined numerous steps to accelerate the development of Lake Toba into a strategic tourism area similar to Monaco of Asia. Steps to accelerate the development of the Lake Toba area are extending the Sibisa airport`s runway in Tobasa District, constructing hotels and accommodations in the Lake Toba area, building a toll road from the Kualanamu Airport to Prapat, dredging and deepening the lake in the Tano Ponggol area, allocating 500 hectares of land for "ecotourism," and intensively promoting Lake Toba, among others. Furthermore, rules relating to the development of the Lake Toba Authority should be made as efficient and simple as possible. The government has set up the Lake Toba Tourism Authority Board to manage the development of the tourist destination in North Sumatra.